Professor Jon Hutton is Director of the Cambridge-based United Nations Environment Programme World Conservation Monitoring Centre (mercifully known as UNEP-WCMC! ), which is UNEP’s specialist centre for the assessment of biodiversity and ecosystems. He has a background in biodiversity science, rural development and international policy, as well as over 20 years experience working as a conservationist in Africa. Professor Hutton was an undergraduate at Jesus College Cambridge and received his doctorate on crocodile ecology from the University of Zimbabwe in 1984. During the next 20 years he held a number of senior management positions in that country, encompassing the government, NGO and private sectors. 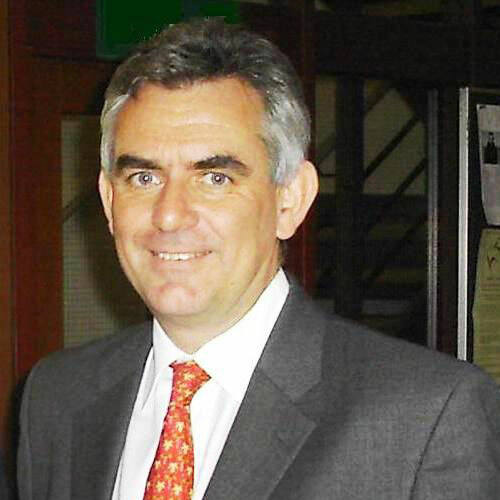 During the early 1990s, Jon was one of the Zimbabwe Government’s negotiators to the biodiversity-related Multilateral Environmental Agreements. In 1999, Professor Hutton moved to Europe where for several years he was concurrently the Executive Director of ResourceAfrica, an NGO supporting community development in southern Africa, and Director for the Africa Programme of Fauna & Flora International (FFI). In 2005 he joined UNEP with a mission to reinstate the World Conservation Monitoring Centre as a global leader in biodiversity information, synthesis and assessment. Jon is currently responsible for the work of 80 scientific staff and has been involved with projects such as the 2010 Biodiversity Indicators Partnership, which is tasked with measuring global progress towards the 2010 target. Professor Hutton has produced over 50 peer-reviewed papers, books and conference proceedings covering issues such as conservation policy, wildlife management, protected area management, community-based natural resource management, the sustainable use of natural resources and the relationship between conservation and poverty. In recognition of his academic interests, Jon was appointed a Senior Member of Hughes Hall College, Cambridge in 2004, and Honorary Professor of Sustainable Resource Management at the University of Kent in 2007.